Early in 2008, the British media reported that Gender and Women's Studies courses offered by universities were closing down or being integrated into other disciplines. Although some universities still run viable programmes, debate ensued about the validity of such courses, which were, in the view of British media pundits, a waste of money, self-indulgent and no longer relevant because feminism had done its job. 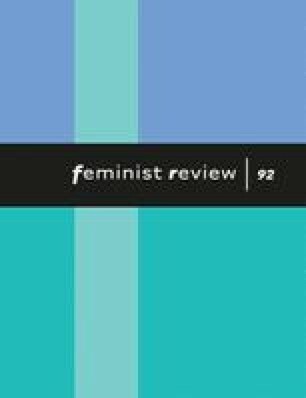 Evoking images of dungarees-wearing, shaven-headed feminists running ‘soft’ degree courses that were more focused on therapy and testimonials than intellectual rigour, the British press drew from post-feminist rhetoric heralding feminist political inquiry as both facile and passé. Sue Thornham's book Women, Feminism and Media emerges then in a cultural moment wherein women's studies is being renounced and undermined. As such, her book functions to remind us of the major influence feminist media scholarship has had in the field of cultural, media, film and gender studies over the last few decades, and of the feminist academic work that remains to be done as new technologies transpire to complicate the way we create, experience and generate human identity. Opening with an acknowledgement of the work of the Women's Movement as the central force in the inception of academic feminism (a relationship that tends to get missed or forgotten), Thornham offers a concise and impressive interdisciplinary history of feminist analysis from the 1970s to the present day that has challenged and theorized issues of female subjectivity, identity, race and sexuality played out within the media. With an astute and insightful examination of the early lexicon of academic feminist study, Thornham details how the approach to feminist pedagogy (‘women and media’, ‘women and literature’, etc. ), while couched in a tentative ambivalence, was a way of forcing ‘consideration of women in to already-existing fields of study’ (p. 2). Whether or not this endeavour has been entirely successful is probably not a question easily answered, particularly in light of the recent emergence of post-feminist ideology, which repudiates the agency of feminist analysis. However, what Thornham does highlight are the shifts and contradictions in feminist intellectualism that have occurred in the development of feminist media analysis, which have made the study of the relationship between women, media and feminism dynamic and often times challenging. In stressing the importance of issues of race, class, sexuality, etc., at the heart of identity politics, Thornham demonstrates the ongoing problematic and ‘slippery’ nature of defining a subject position from which women can create a coherent and inclusive framework in which to theorize the paradigm of women, media and feminism. Complicating the ‘taken for granted’ nature of terms such as woman, image and narrative, Thornham takes her place in a dialogic and in-depth exploration of these debates, focusing on four key areas of concern to form the structure of the book. The first chapter, ‘Fixing into Images’ investigates one of the central anxieties of feminist media analysis; that is, the relationship between images and women. Working within a historical framework and always asking questions about the usefulness of rhetoric about woman as image, Thornham offers a re-conceptualization of the relationship between women and media to ‘unpick’ the images and reveal the dominant discourses that inform them. ‘Narrating Femininity’ documents the ongoing theorization of narrative and identity, exploring how narratives of female identity are produced, re-produced and consumed by female audiences. By looking at genre-specific examples of narrating femininity (romance, soap opera, melodrama), Thornham is able to demonstrate how the subject position of female consumers has extended across a number of ‘female forms’, raising questions about female agency within the texts. In ‘Real Women’, Thornham explores the absence of women's voices from media forms such as the news while becoming highly conspicuous in ‘everyday reality’ shows (p. 85). In light of the recent publication of Susan Faludi's The Terror Dream: Fear and Fantasy in Post 9/11 America, which documents the silencing of women within the public realm after 9/11, Thornham raises highly cogent questions about women's ‘mediated visibility’(p. 85). ‘Technologies of Difference’ examines the relationship between new media technologies, women and feminism and the impact that the computer, the Internet and the cyborg have on discourses about self-identity. This chapter is really useful for those who are beginning to work in the field of new media technologies, as Thornham lays out a concise map of the theoretical landscape of an academic study, which is, it seems, ever expanding. Thornham's book reminds us of the highly theoretical work undertaken in this field of study and puts paid to any criticism of the ‘soft’ nature of feminist analysis. As such, it is an essential resource for students embarking on the study of feminism, media and women.